if anyone has played HL2 EP2 then they know how badass a hunter is. 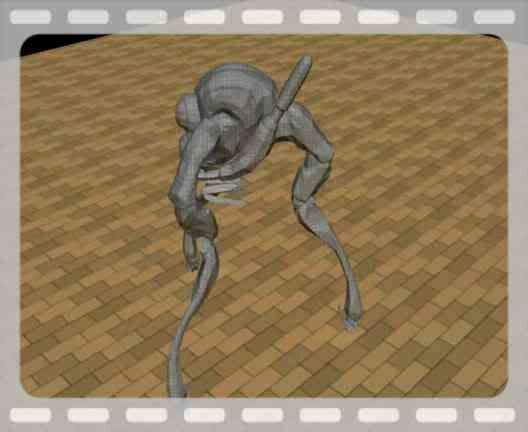 well recently i have been trying to get the hl models out of hl and into 3ds max. which i have been able to do, but now i am trying to do something even better with it. but i am going to be printing the model out on the 3d printer. I think that it is going to be so badass. the total amout for printing the model itself is going to cost around 70 dollors min. whew thank god i dont have a girlfriend. wait what? ok well i know that i have been gone for 3 something weeks but if you want to blame someone blame activitson for making MW2 so addicting. so i appologize now for being so away without telling anyone. ok sry for that off topicness but back to the model. 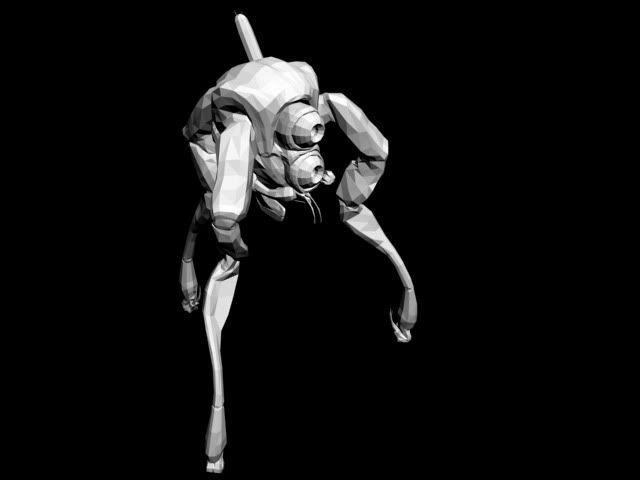 the model itsself is going to be about 8.5 inchs tall so in comaprision i think its going to be hum... 6 or 7 inchs wide from the 2 front legs to the one back leg. media time. a video. the grid is in to way to scale i just wanted a diffrent texture on there. i have not at this time printed the model out yet but once i do ill post some epic pics of it for you guys to look at. and if i spell something wrong or didn't cap any of my I's or front of sentince. its because its 1:56 am and im tired and its dark and my laptop brightness is all the way down to save battery. so spell check away guys. That is amazing, take a video or snapshots of the model when it's done. Little do you know that im going to break your knee caps with a lead pipe if you try.